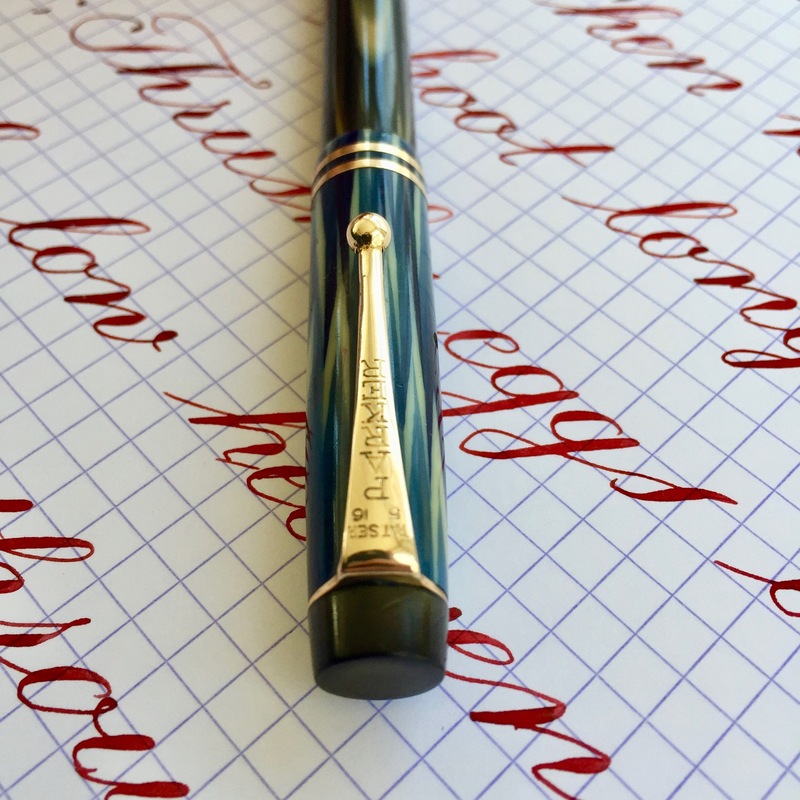 Here is a Parker Duofold style pen in the iconic “True Blue” style. I believe that this is a “Junior” size, but I could be mistaken. 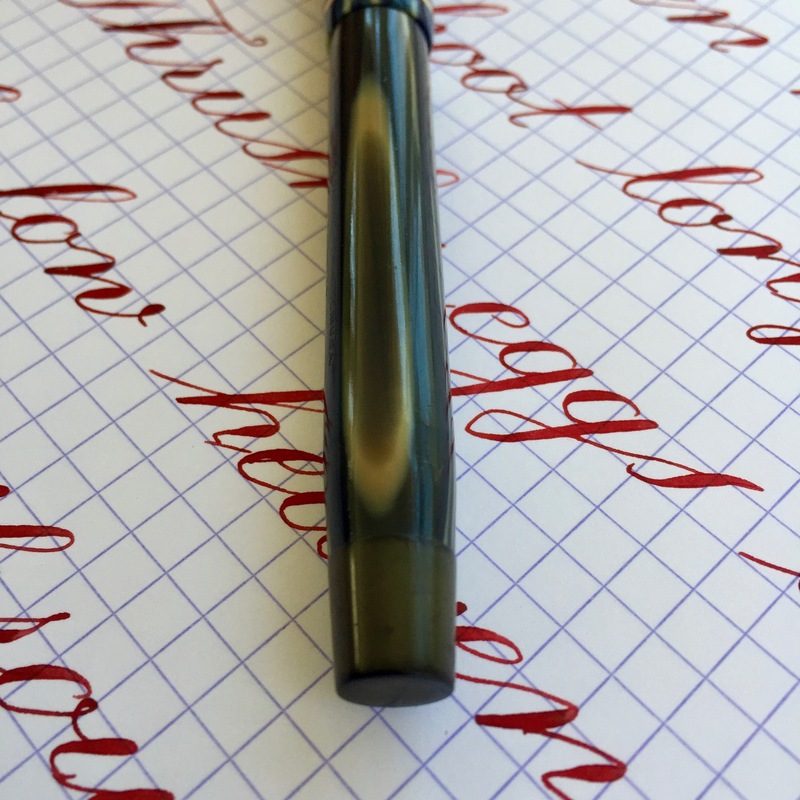 The “True Blue” has faded and yellowed as is typical on these pens. The body more so than the cap, which is fairly close to the original color. 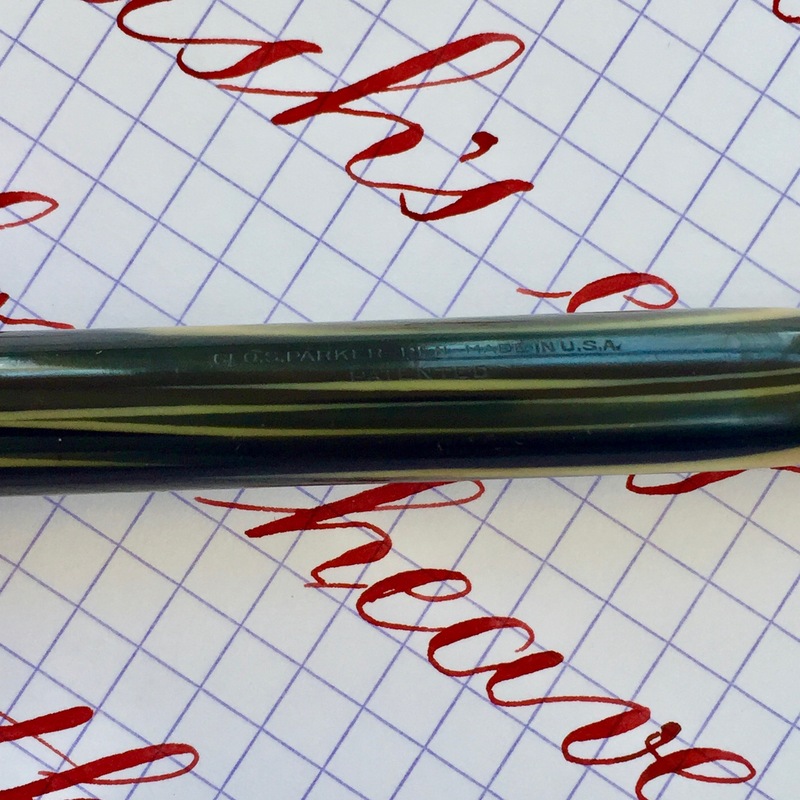 There are a few very small scratches from normal use on the pen, but nothing obvious or major. The black hard rubber ends have also faded to a gray brown. Trim looks goods with no brassing. 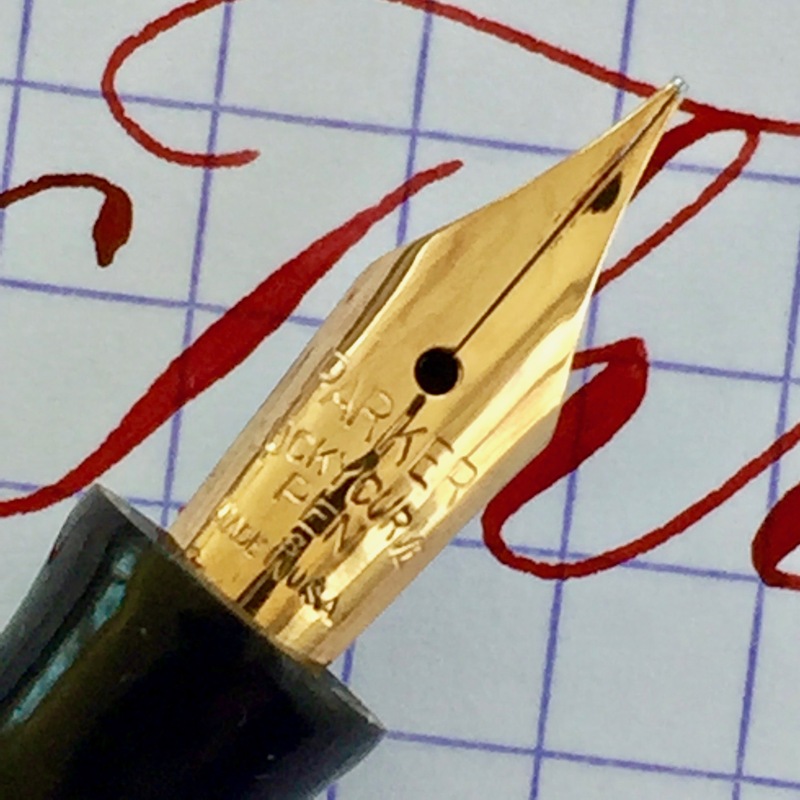 The 14kt Parker Lucky Curve #2 is a glorious writer. It is buttery smooth and wet, and it has a soft, springy feel to it. 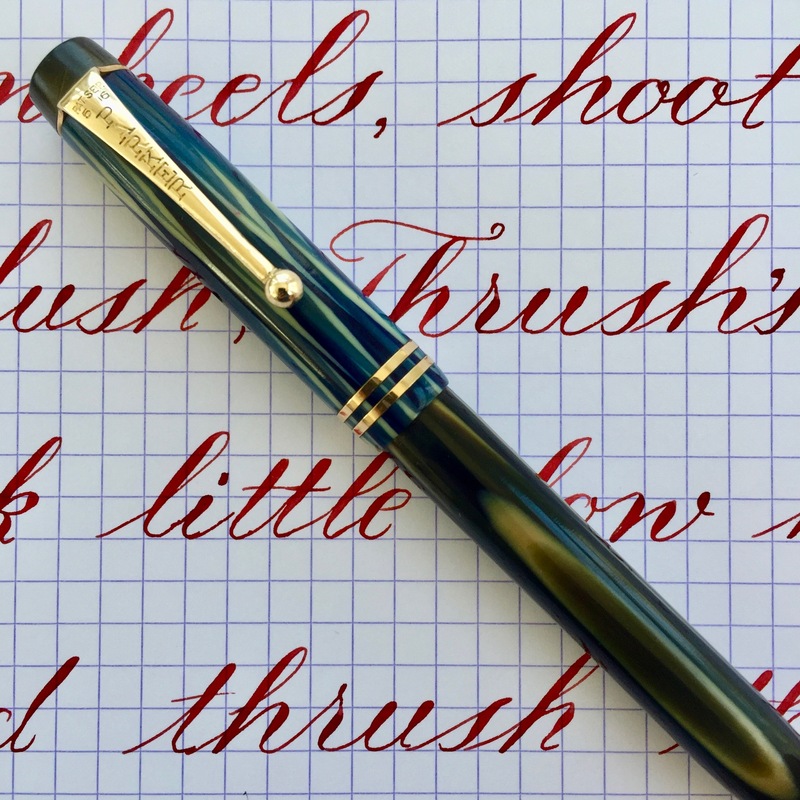 The flex on this nib comes easily, but the range is not massive. It goes from a F (0.4mm) to BB (1.3mm). The ease of flex is super flex quality, as is the responsiveness (it’s very snappy). The range, however, puts it more in the “good flex” grade. It does railroad occasionally after you’ve been flexing awhile, but it picks right back up. 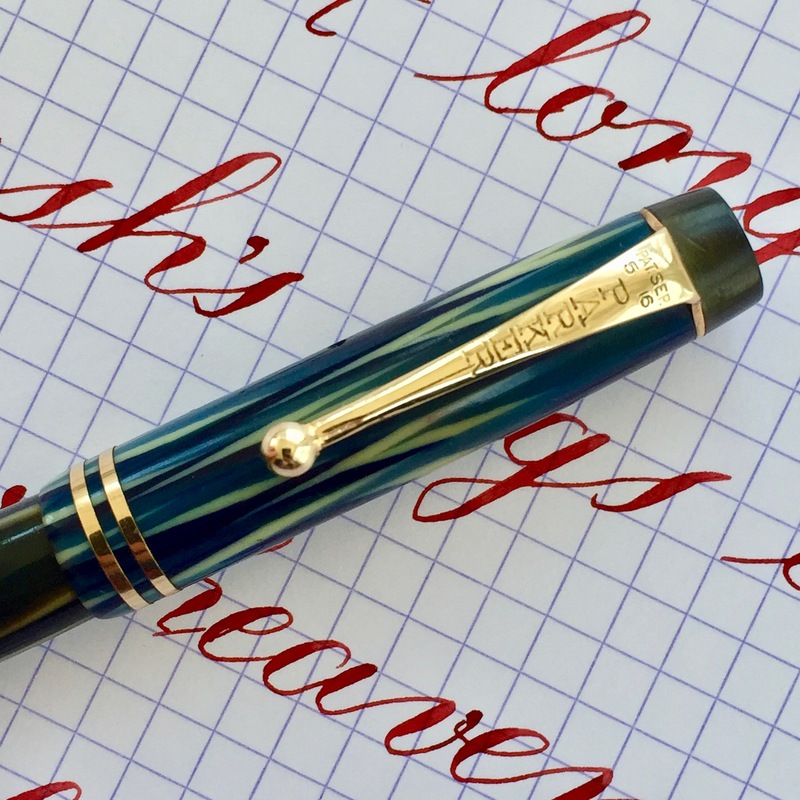 Overall, a very nice Parker in a very desirable color.